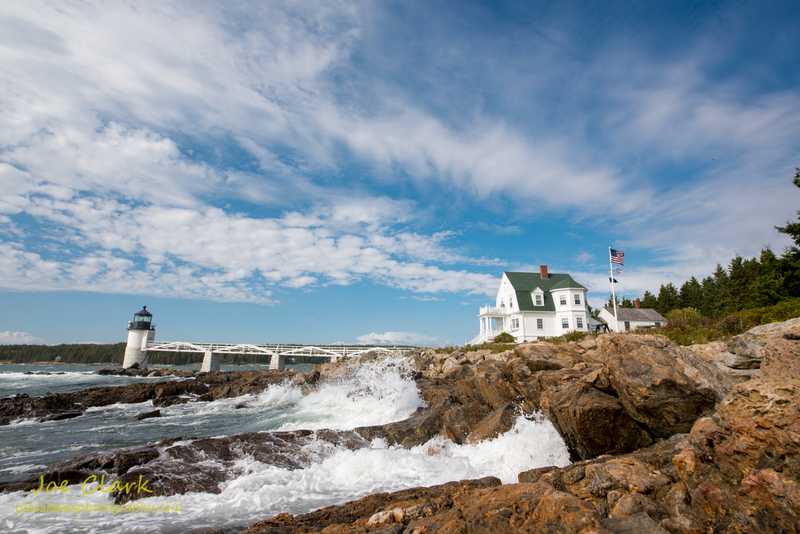 On the first day of the Maine adventure, we went to Marshall Point. This small light sits at the end of (you guess it) Marshall Point, which is to the south of Rockland and to the west of Booth Bay, Maine. The small light sits on a bed of rock and at low tide you can walk out to the base of it, which below is not what anyone would consider to be a low tide. In fact this would be a King Tide, one of the highest types of tides. The rocky area around the lighthouse was covered in feet of water, and as you can see it was less than calm. This image will eventually be added to the gallery upon my return to the office. Today we will be at another lighthouse for a sunrise photo adventure.